Yet, he not only managed to graduate from high school but also to gain admission to one of the area’s most prestigious institutions of higher learning, Northeastern University. Elgart enrolled at Northeastern University and began to dutifully attend classes, starting out as a biology major as a possible precursor to a field in veterinary medicine. He also discovered a jazz club at the school–this may have been more important than any classroom experience, especially since one of the members was his old childhood friend and future Whirlwind band mate, Michael Kaye. Shortly thereafter, he left Northeastern and decided to study music full-time at what was then called the Berklee School of Music in Boston, a school generally regarded as the world’s top educational institution dedicated to the study of jazz and modern American music. Coincidentally, Berklee had only just recently joined the Boston Conservatory, enabling the school to offer degrees for the first time. That change meant Elgart’s parents were less resistant to his change of academic plans. He ended up studying with one of New England’s most respected jazz players, fellow drummer Alan Dawson. After two semesters, however, Elgart opted to focus more on playing rather than continuing to pursue formal academic and theory-oriented coursework. In fact, he didn’t come up through rock like some of his contemporaries, nevertheless, when asked by family friend Michael Kaye to join him in Hap Snow’s Whirlwinds, he agreed. In this time period, band members Elgart, Kaye, and Steve Fradkin sometimes shared a room with employees above The Coffee House. Kaye remembers Elgart also brought his record collection and first introduced the band to comedian Lenny Bruce, who they proceeded to quote often that summer. The next time Kaye accepted an invitation to see Elgart perform a couple of years later, his ex-band mate was on stage for the whole show. Bill Elgart recorded three songs with Michael Kaye, Steve Fradkin, and Hap Snow around 1963. All three unreleased demos are online. An early important gig in Elgart’s career was a concert at the Jazz Composer’s Guild in New York City in 1964. The co-operative set up by a number of prominent free jazz musicians organized weekly concerts that came to be known as New York’s October Revolution in Jazz. This particular show was set up by an old friend, bassist Kent Carter. Elgart played with Carla Bley’s band for the first time. A year or two later, Elgart and Paul Bley, Carla’s husband, would first play together. This meeting was set up through a mutual acquaintance, bassist Mark Levinson, an old friend of Elgart’s from the late 50s. The three of them jammed at Levinson’s parent’s house in New Haven, Connecticut. Mr. Joy was recorded in 1968. This became Bill Elgart’s first appearance on vinyl. The album, although neither reissued in CD nor digital format, was reissued by Trip Jazz in vinyl in 1975. Elgart returned East the same year Mr. Joy came out. Among the musicians he worked with at this time was Mark Levinson, a trumpet player from Newton, Massachusetts, where Elgart and his family lived after moving from Chelsea and Malden earlier in his childhood. Bill Elgart’s recordings with Levinson include 1979’s compilation Mark Levinson presents… and Jazz At Long Wharf in 1977 with Mark and Doug Levinson. In 1970 Paul Bley with Gary Peacock was released featuring three tracks with Bill Elgart, “Gary,” “Big Foot,” and “Albert’s Love Theme,” that were originally recorded in 1968. Three tracks drawn from the two albums by Paul Bley, Gary Peacock, and Bill Elgart were included on the 1975 album Turning Point, which is currently available in CD and as a download from iTunes among other online music retailers. As Mr. Joy has thus far only been released as an LP and 8-Track Tape, this is the only way to hear “Mr. Joy” and “Kid Dynamite” in digital format. Vinyl versions have been released in the United Kingdom, Japan, and the United States. The 1975 reissue by Trip Jazz can be easily found at a reasonable price from sources like Discogs.com. The end of the 60s through the mid 70s were split between Massachusetts, New York City, and a second trip to California that led to the recording of “Billy’s Boogie” and “Synapse” in 1971, both included on the 1983 album Marty’s Garage released on American label DBX. During this second period in California, Bill Elgart played in a band with an old friend from the Boston area, Lenny Capizzi, one of the authors of 1962’s all-time classic,“Monster Mash.” Elgart also played in several other groups while in California, one outfit with several former members of Frank Zappa’s Mothers of Invention including bassist and guitar player Roy Estrada, trumpet and fugelhorn player Charles “Buzz” Guarnera, and his brother John Leon “Bunk” Gardner on woodwinds. In October 1976, Bill Elgart moved to Europe at the behest of an old classmate from the Berklee School of Music, Tom van der Geld. Van der Geld’s band Children At Play needed a drummer for their second album, Patience, which they cut in May 1977 and released the following year. Recorded in Ludwigsburg, Germany, the LP featured vibraphonist van der Geld, saxophonist and flutist Roger Jannotta, old friend bassist Kent Carter, and Elgart on drums. The fact that all four players grew up in the States–Carter hails from New Hampshire and has resided in France since 1970, Jannotta’s from Chicago, based in Germany, and van der Geld, like Elgart, was born in Massachusetts, and has lived in Europe the last 40 years, meant it was that much easier culturally, linguistically, and musically (as all the players came from a similar jazz background) to quickly find a common vision and soon thereafter start performing concerts as well as recording together. When Bill Elgart first decided to try living in Europe, he gave himself a year. However, once he had returned to Massachusetts for a short time in 1977, he realized his immediate future was in the music scene in Austria and, in fact, staying in Western Europe was quite agreeable in terms of quality of life. Thus, he returned to Europe for good and rejoined Children At Play, which would soon record a second album. American bass player/composer Wayne Darling replaced Kent Carter on the fourth Children At Play album in 1980, Out Patients. Patience and Out Patients, which have neither been issued as downloads nor CDs, are both out of print. However, Musica degradata.com, a website specializing in high quality broadcast recordings and out of print vinyl albums, currently has MP3 versions of each album. This was the beginning of a fruitful musical relationship as Elgart, Darling, and Peter O’Mara, a guitar player from Australia, formed Sun Dial, a trio which was active from 1982 to 1990. They recorded three well-received albums, including their debut in 1985, Sun Dial. The trio recorded Iliad in 1986, also on Austrian label Rst Records. The final installment of their trilogy was O’Mara-Darling-Elgart in 1988. In 1987 Bill Elgart joined Canadian trumpet player Kenny Wheeler, Stan Sulzmann, who switches between soprano, tenor, and flute, John Taylor on piano, and double bassist Dave Holland to make Fly By, Butterfly. This American-Canadian-English effort was recorded at Studio Barigozzi in Milano and released the following year. Two years later, Elgart, pianist Chris Beier, and bassist Rainer Glas, both from Germany, appeared on Polish saxophonist-flutist Leszek Zadlo’s Breath album. This was followed by Bill Egart’s first collaboration with South African bassist Carlo Mombelli, Happy Sad, which also features saxophonist Charlie Mariano (another Bostonian and a former Berklee School of Music faculty member) and Peter O’Mara, in 1990. Elgart, Mombelli, and Mariano also cut the 1993 album Dancing In A Museum by Carlo Mombelli’s Abstractions, with American guitarist Mick Goodrick. In 1989, Bill Elgart recorded an album with the Franco D’Andrea Trio, which features Italian D’Andrea on piano, Elgart on drums, and Switzerland’s Stephen Schertler on bass. This same album was reissued in 1996, with a new track order, under the title Chromatic Phrygian. As an active member of a number of groups as well as a sideman in numerous projects, Bill Elgart has released at least one original album, on average, every year since 1978. The 1990s were a particularly fertile period as Elgart appeared on at least seventeen albums including Kenny Wheeler, Peter O’Mara, Wayne Darling, Bill Elgart in 1990 recorded in Munich and released on Germany’s Koala Records. Elgart cut Aisha with another quartet in 1991. The band included bassist Manfred Bründl, tenor sax player Matthias Schubert, and pianist Achim Kaufmann, three established players from Germany. The same year, he recorded Heavy Mental with the Roland Heinz Quartet with Leszek Zadlo, American bassist Barre Phillips, and German guitarist Heinz. 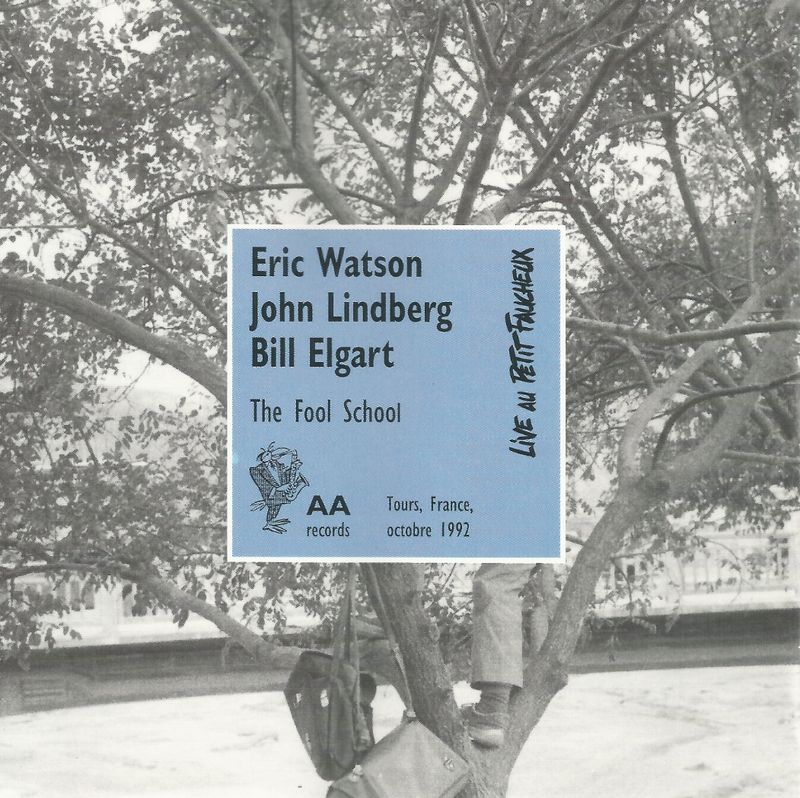 In 1992, Elgart and fellow Americans pianist Eric Watson and double-bassist John Lindberg formed the Eric Watson Trio and recorded The Fool School in France, released the same year. Elgart also appeared on One More Life with German vibraphonist Wolfgang Lackerschmid, Bulgarian pianist Milcho Leviev, and German bassist Henning Sieverts, a musician Elgart would work with again, the same year. Besides doing concerts and making albums, Elgart also did some theater work around this time in Munich, working with his old bandmate from Children At Play, Roger Jannotta. Among the productions he worked on were Faust and King Lear. Elgart’s first teaching job, filling-in for a German friend and fellow drummer who tragically lost his life in an auto accident, also began in 1992. Caoma was released by Germany’s Konnex Records in 1993. The LP features Polish trumpeter/composer Tomasz Stańko, German saxman Sigi Finkel, American bassist Ed Schuller, and Elgart. Two albums recorded in Milano, Cities and Tales, each showcasing Italian bassist Paolino Dalla Porta and musical collaborators from previous works were also released in 1993. Italian saxophonist and composer Claudio Fasoli made four albums with Bill Elgart. Cities features guitarist Mick Goodrick with Dalla Porta and Elgart, while trumpet player Kenny Wheeler and Italian pianist Stefano Battaglia join them on Tales. A third effort involved Fasoli with Elgart, Goodrick, Wheeler, and French double bassist Henri Texier, Ten Tributes, which was recorded in 1994 in Parma and released in 1995. Claudio Fasoli and Bill Elgart also released Trois Trios in 1999, which was recorded in Parma in 1994. This album features three different trios and includes Battaglia, Elgart, Goodrick, Texier, as well as American vocalist Jay Clayton and fellow drummer Italian Aldo Romano. 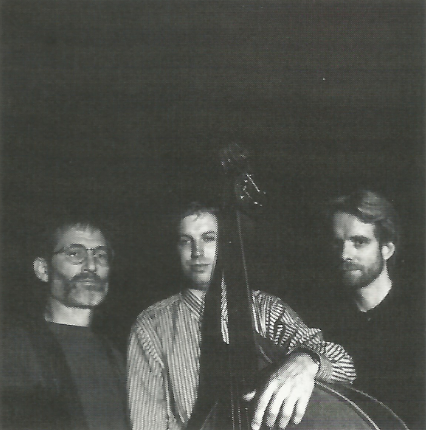 In 1996, Bill Elgart joined Paolino Della Porta on bass and Riccardo Fassi on piano on Walkabout. Three years earlier, Elgart and Della Porta recorded Tales with trumpet player Kenny Wheeler and Italian pianist Stefano Battaglia. German pianist- organist Bernd Köppen formed a trio with bassist Kent Carter and Bill Elgart in the early 1990s and released The Suffering Of The Working Class in 1996. Two live performances from the 90s earned recognition for Elgart: the first, Vlatko Kučan Quartet plus Tomasz Stańko’s Live At Palo-Palo, was recorded in 1991 and released by Germany’s True Muze records in 1998. This recording includes Elgart, Michael Danner on trombone and tuba, Kučan on tenor and soprano sax and bass clarinet, Jay Oliver on double bass, and Stańko on trumpet and was made in Hannover. A second live recording, Live At Neue Kirche Wuppertal 12.06.1999, was made by Elgart, old friends’ bassist Kent Carter and pianist-organist Bernd Köppen, as well as German trombonist Günther Heinz and Swiss clarinetist Claudio Puntin. Zollsound’s first album, Das Gleichegewicht, featuring Elgart and German baritone sax, bass clarinet, and alto flute player Thomas Zoller was a soundtrack for a play that was also released in 1999. Open Hearts, recorded in 1998, was released in 2000–and reissued in 2010–by Enja Records. Their second album, this features Elgart, Zoller, American alto saxophonist and composer Lee Konitz, and bass guitarist and composer Carlo Mombelli. Bill Elgart also found time to work with German vibraphonist, pianist, and composer Karl Berger and a host of other musicians on the 2000 album No Man Is an Island. In the early 2000s, Elgart appeared on Charlie Mariano’s Not Quite a Ballad, with Mariano on alto sax and German players pianist Bernhard Pichl and bassist Rudi Engel. Mariano was a fellow Bostonian who like Elgart moved from Massachusetts in the 1970s and set up a new home in Germany. German pianist and composer Peter Fulda formed a trio with Bill Elgart and bassist Henning Sieverts and released their first album, The Nightmind, in 2002. The same players followed up with Little Box Of Wonders in 2003, and later released 8 Rituals, a German-American production featuring Elgart, Fulda, Sieverts, guitarist Dirk Mündelein, and vibraphone, marimba, and percussion player Roland Neffe, in 2008. In 2002 Elgart was in a quartet with Hubert Winter, New York pianist/composer Richie Beirach, and double bassist Dietmar Fuhr on the Hubert Winter Quartett’s Saga Lydis album. This was also a German-American joint effort, in fact three of the four musicians had previously studied at the Berklee School of Music–and the fourth, Fuhr, had studied jazz in New York City as well as his native country. Bill Elgart joined former trio partner Wayne Darling on his 2002 album, The Art Of The Bass, Vol. 1. This Laika Records’ CD is also available as a Digital Download from retailers such as Amazon.com and iTunes. Günter Lenz Springtime’s Strict Minimum album features Elgart on drums, pianist-trumpeter Dieter Glawischnig, Lenz on bass, saxophonist-clarinetist Ernst-Ludwig Petrowsky, trumpeter Claus Stötter, and sax, flute, and bass clarinet player Gebhard Ullman was recorded in 2004 and released in 2007. In 2009 an album by former musical collaborators Elgart and bassist Furio di Castri, joined by sax and flute player Albert Landolt, another former student at the Berklee College of Music, The Outernational Three, was released. This 1996 recording was released on Swiss label Unit Records. Another earlier recording finally saw the light of day in 2009, Beyond Our Thoughts. This album features Elgart and three German musicians, trumpeter Hans-Peter Salentin, bassist Stephan Schmolck, and pianist Michael Wollny, recorded in 2004. Elgart also appeared on a compilation with the Bernd Köppen Trio with Köppen and Kent Carter, Sounds Like Whoopataal in 2006. The same players, plus saxophonist Andreas Bär recorded Einundsechzigvierzig in 2009, released the next year. 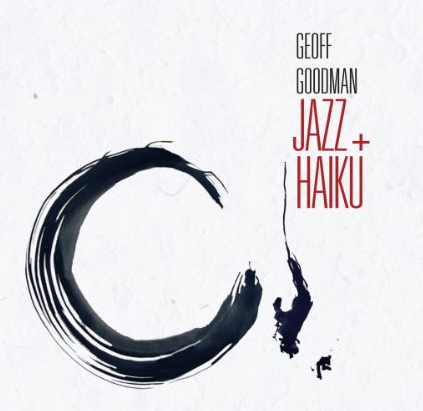 In 2011 Elgart and two old friends, bassist Henning Sieverts and Geoff Goodman, a New York guitarist and composer who studied at Boston University and the University of Massachusetts before moving to Europe for good in 1986, appeared on Goodman’s 2011 experimental Jazz + Haiku album, which also includes German saxophonist and composer Till Martin, Albanian vocalist Fjoralba Turku, and recitations by Japan’s Kiyomi. 2011 also marked the release of Modern Primitive, an Evil Rabbit Record featuring Jan Klare on alto saxophone, clarinet, and flute and Meinrad Kneer on double bass, both from Germany. Elgart plays drums and fellow American Jeff Platz the guitar. In 2013, Bill Elgart appeared on Give No Quarter with Dutch tenor saxophonist, clarinet, and shakuhachi player Ab Baars and Kneer. In 2014, Bill Elgart and old friend bassist Kent Carter joined pianist/composer Gianni Lenoci on Plaything, an album released in vinyl by Lithuania’s NoBusiness Records. Plaything is also available as a digital download from Silta Records. In early 2016, a quartet comprised of reed player Hubert Winter, drummer Bill Elgart, bassist Rudi Engel, and guitarist Werner Küspert performed live at a screening of F.W. Murnau’s classic horror film Nosferatu. In the first half of 2016, Krisch – Höfler – Elgart featuring Lauren Newton released Lonely Woman on Germany’s JazzHausMusik imprint. The CD and digital download features trio Dizzy Krisch on vibraphone, Karoline Höfler on bass, and Bill Elgart on drums, with Lauren Newton on vocals. Dizzy Krisch, Karoline Höfler, and Bill Elgart have joined Lauren Newton for several live concerts at venues across Germany in the latter half of 2016 and the beginning of 2017. More gigs are likely in the future. In July 2017, the Christian Hassenstein Trio released Cause & Consequence on Germany’s DJAMtones label. The CD and digital download of jazz originals and standards features Christian Hassenstein on guitars, Sven Schuster on bass, and Bill Elgart on drums. The trio, which recorded the album in 2012, continues to play on a regular basis including at the Jazzschmiede in Düsseldorf, Germany in December 2016. A tour to support the new album is in the planning stages, with the bulk of the dates likely to be scheduled for 2018. In 2018, Ab Baars, Meinrad Kneer, and Bill Elgart’s second album was released on Evil Rabbit Records, Live at Konfrontationen Nickelsdorf 2012. It was recorded at a jazz festival in Austria in the summer of 2012.